September 2016 – CEPII, Scientific Advisor. (CES, UMR 8174, Université Paris 1 Panthéon-Sorbonne). January 2016 – Paris School of Economics, Associate Member. August 2015 – January 2016 University of Virginia, Department of Economics, Associate Professor. August 2008 – August 2015 University of Virginia, Department of Economics, Assistant Professor. June 2012 (one week) Hebrew University, Visiting Professor. 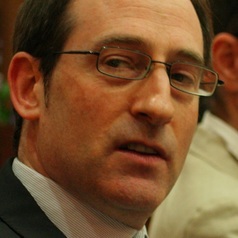 November–December 2010 Sciences Po, Visiting Professor. March 2010 Hebrew University, Visiting Professor.